Well odds are if you landed on this page you are in need of getting the gutters cleaned on your Woodbury home. Luckily you came to the right place as River City Home Solutions is a full service gutter cleaning company servicing the greater Twin Cities area including Woodbury Minnesota. Gutter cleaning is one of those jobs you don’t know you need until it is usually too late and water is spilling over your gutters or you have a small garden growing on your roof. Why doesn’t gutter cleaning happen more often? Well because it is not the most enjoyable experience digging stinky debris out of the gutters and more importantly because it is dangerous as you need to be on ladders and on your roof. Leave the smell and the danger of gutter cleaning on your Woodbury home to someone who does gutter cleaning for a living and is used to working at heights and has the proper equipment to do it safely. 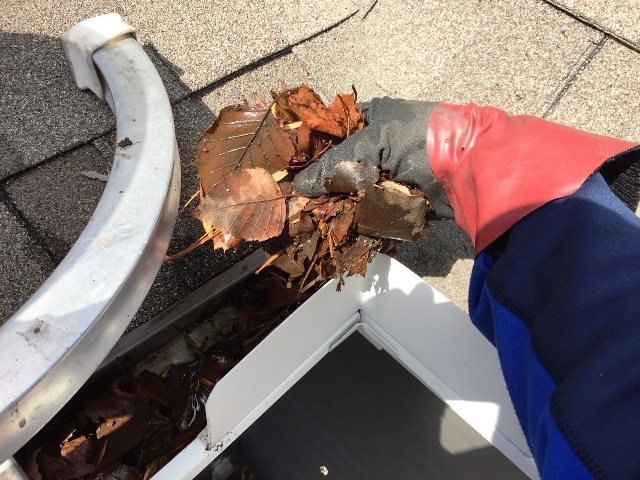 How will we clean the gutters on your Woodbury MN home? We first hand clean out all the debris from the gutters placing it in buckets and then bags to ensure you don’t have a mess in your yard. Next we will either flush your gutters with water or blow out the small debris with a leaf blower, the method depends on the season and the type of material in your dirty gutters. Lastly we will ensure your downspouts are flowing properly so that the water can go down and move away from your home. Window Cleaning – We are first and foremost a window cleaning company. Package window cleaning with any gutter cleaning job and we will discount both services. Gutter Cleaning – A clean gutter system is important to ensure water is moving away from your home and not finding a way inside. Hiring a gutter cleaning annually is a great way to ensure you don’t have issues. Pressure Washing – We also offer pressure washing to shine up the outside of your Woodbury Minnesota home.